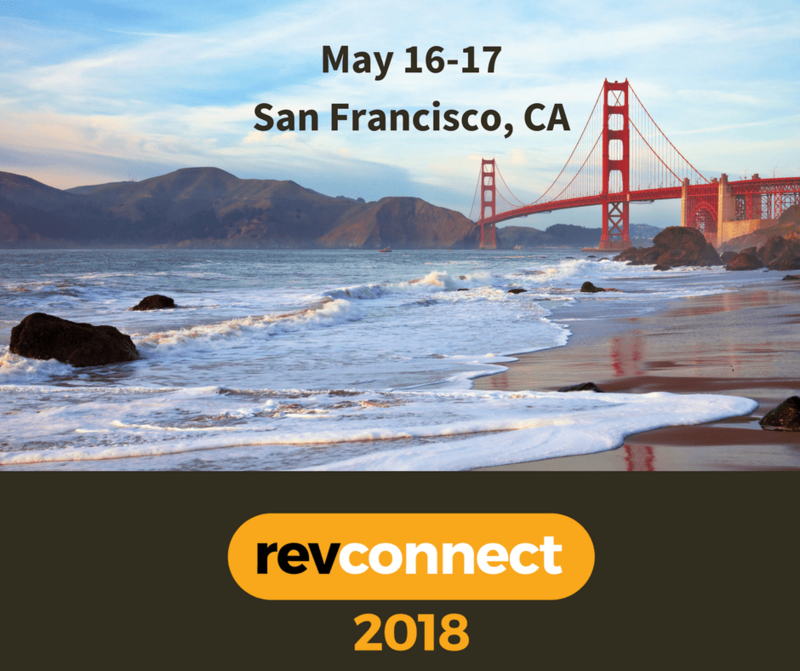 What is new at RevConnect this year? Aside from the global Aptitude Software team joining us for their first RevConnect experience, an exciting aspect to this year's line-up of activities is our new training capabilities. Only at RevConnect on May 16 can users receive our new bootcamp style training. Speakers will share their lessons learned from ASC 606 implementation (compliance and software) to thoughts on ways to modernize and use newly accessible data. Revenue management is not just an accounting function but a powerful business tool. For public companies who have begun reporting under ASC 606 and IFRS 15, we will discuss what's next. For private companies, this is a great opportunity to learn from those who have taken the steps you are about to take. What does life beyond ASC 606 look like? "I think the key message here is that 606 is a pretty massive global accounting change for companies, and they had to expend a lot of resources to get compliant. It will take some time for things to settle down. But then we need to look beyond compliance. Rev rec software tools like RevStream do a lot more than just compliance. You can really ingrain the data output as part of the revenue business operation...now that you can see all of your contracts and everything that's been sold in a certain way - you have everything all together in one place. Now it's time to start thinking a little bit more about the business process and operations optimization angle. Right now, there's no other crazy compliance checkbox coming in, so let's see what we can do better." What is new at RevConnect this year? Aside from the global Aptitude Software team joining us for their first RevConnect experience, an exciting aspect to this year's line-up of activities is our new training capabilities. Only at RevConnect on May 16 can users receive our new bootcamp style training. We are taking our new multi-day training offering and compacting it into a one-day, intensive, hands-on training session with the MVPs of RevStream training. Definitely bring your own laptop as this is truly hands-on training. The cost and time savings for this one day alone is well worth the $995 registration - plus you will receive 8 CPE credits. A word of warning - users must have experience with RevStream software, this training will take you beyond the basics to truly utilize the power of Contract to Revenue Management. Our customers and partners are our greatest advocates and resources for innovation, process improvement, and of course, stories about the time they used to spend poring over spreadsheets for days on end! The insights gained from focused community discussion on issues that matter to you are extremely valuable to personal career development, as well as to your company and department. The 8 CPE credits we are able to offer for full conference attendance is a nice bonus. Aptitude Software CEO and CRO – Tom Crawford and Rajiv Chopra on stage together to discuss the future power of the combined companies. Plus they will share their thoughts on the modern CFO office and the new pivot to 'contract as king'. VMware, a global SAAS company – transformed their businesses using the finance office as the catalyst and managers of change. Ciena, a telecommunication and network company – faced compliance and a home grown system replacement. This became a buy vs build discussion as well as a finance discovery project. KPMG – based on their vast implementation experience, KPMG will discuss remodeling processes and managing change. Deloitte – their collection of global firms provides insightful data from which trends in digital disruption are identified and projected. Deloitte will discuss just where the finance office fits in the modern enterprise ecosystem and how to best leverage the CFO position. Customer panels include finance CFO office representatives from RedHat, Activision, Ivanti, and others.